In a recent blog, we explained the four different types of annuities where one of those four was the fixed index annuity. 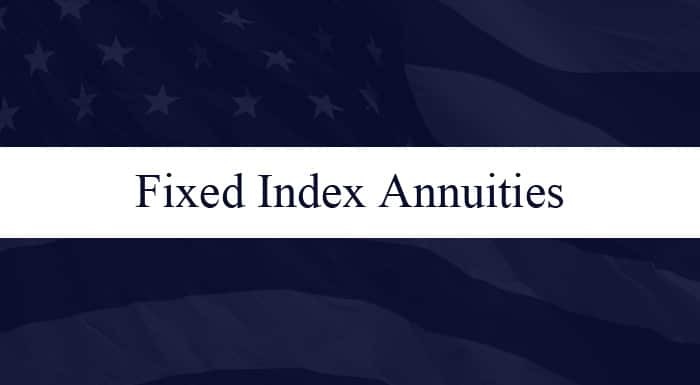 Now we’ll take a closer look at the features of Fixed Index Annuities to illustrate why we believe the fixed index is the better choice over the other types of annuities. When looking at the different kinds of investment vehicles and plans that are available, we can put them into two basic groups: those that risk your principal, and “safe money” options that protect it. The traditional investments most of us know about fall into the group that put our principal at risk: stocks, mutual funds, real estate, commodities, and so on. On the other side of the equation, we have what we call “safe money” plans, where our principal is guaranteed from loss. The safe money options most of us are familiar with are CDs, money markets, savings accounts, and government bonds. All of these have principal guaranteed by a federal agency, or by federal insurance. One Safe Money option you may not know much about is the Fixed Index Annuity. With a Fixed Index Annuity, you are able to participate in the growth of stock market indexes while also having a minimum guaranteed growth rate. And your principal is protected. Let’s take a look at 7 key features of Fixed Index Annuities. First, as we just said, your principal is 100% guaranteed by the insurance company. Number two, you have the ability to participate in stock market gains, but you will never lose money if the market drops…because of #1, your principal is guaranteed. For more see, How to Fixed Index Annuities Make Money. We believe number Three is one of the most important features of Fixed Index Annuities: all gains that are credited to your account are locked in and guaranteed, just like your principal. Number four, all the money in a Fixed Index Annuity will grow tax deferred. You aren’t taxed on any of your gains until you withdraw them. Number five, there are typically no fees involved in Fixed Index Annuities, unless you choose to add enhancements, which are called Riders. The sixth feature of Fixed Index Annuities is Income, or Liquidity. Every company is different, but with most fixed index annuities you can start taking withdrawals after 1 year. And you can start your guaranteed lifetime income in as little as 5 years. During the first years of your annuity contract, there will be limits to how much you can withdraw annually without penalty. This is because the insurance company has made investments to protect its life-long commitment to you. Liquidating these positions ahead of schedule costs the insurance company money. When you purchase a fixed index annuity, you will know up front what percentage of your contract will be available for withdrawal, and you will be provided with a schedule of early withdrawal penalties that will decrease to zero over time – usually 6 to 12 years – depending on the annuity you choose. Lastly, number seven…some Fixed Index Annuities have a bonus, which is an incentive for you to place your money with the insurance company. The bonus amount, which usually ranges from 5-20% depending on the length of the contract, is credited to your account on day one, BUT you can’t just turn around and take it out the next day. There will be rules on how long you have to hold the contract and how you can access the bonus money. However, you are earning interest on both your principal and the bonus from day one. In our next blog, we are going to show you how insurance companies are able to guarantee your principal against loss in a fixed index annuity. In the meantime, we’d like to invite you to see our eight-part educational video series on fixed index annuities. Simply click the banner below for instant access to our free series. If you have any questions, or would like to set up an appointment (by phone or in person), please feel free to contact us.